Welcome to Santa Rosa Beach FL! At Santa Rosa the sugar white sand and the turquoise water is what draws people into this gorgeous place. One of the other great things about Santa Rosa is its mix of old and new. For example the historic Eden Gardens State Park is located only a short distance away from The Bay, a restaurant with a Southern- Asian Twist. 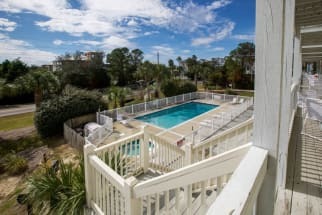 Emerald Coast by Owner is proud to offer you a large selection of Santa Rosa Beach rental properties that are all equally luxurious and elegant in their own way. Not only do they have gorgeous beaches but they are very closely located to Point Washington State Forest! If you're looking for a more relaxing day head over to the Hilton Sandestin Beach Golf Resort and Spa! 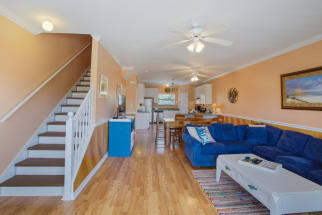 See what all Santa Rosa Beach has in store for you by booking a stay in a beach neighborhood. Take a look at the properties below, be sure to click on the "Email Owner" button found on each listing to send a property owner a message directly. Our Santa Rosa owners will gladly answer any questions you have and assist you in the booking process. Booking direct with the property owner cuts out the middle man and assures that you are not over paying for your vacation rental. ECBYO does not charge you any service fees when you book with us, so book online today and save! 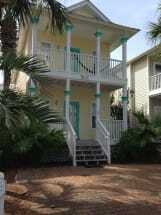 Pup Friendly Cottage South of 30A!